Bring All Your Questions About The Outside, Inside To Herzog’s Experts. More and more studies show what most of us have known all along. What’s that, you may ask? It’s the fact that being in and around nature just makes us feel good! As a matter of fact, local homeowners are tapping into appreciating nature by enjoying outdoor living spaces in their homes. Not to mention that outdoor projects add value as well as equity to our homes. Furthermore, outdoor living spaces also add something to our daily lives that we cannot put a monetary value on: time. In our hectic daily routines, our time is very valuable. These unique outdoor areas are becoming more and more a must-have for anyone who wants to spend time relaxing and enjoying the outdoors, while unwinding with family and friends. There are many ways you can design your outdoor living spaces while taking into account your unique tastes. Jim Niles, our in-house expert, helps customers select a proper hardscape foundation or decking material. Herzog’s carry top industry leaders such as Techo-Bloc, CST, and Cambridge Pavers. Our expert will also be able to assist with tasks such as outdoor fireplace/firepit placement, fence design, as well as landscape lighting design. Creating custom-built outdoor living spaces is made even easier with pre-built modular hardscape components. These components mix and match seamlessly with pavers and walls. It should also be mentioned that many of our customers are taking advantage of financing options as well as our contractor referrals. Life can be all about “making moments.” And, outdoor grilling can be an essential ingredient. You’ll find that we carry gas, charcoal, portable, smokers and also electric grills. And, of course, we also have a full line of accessories as well as parts. 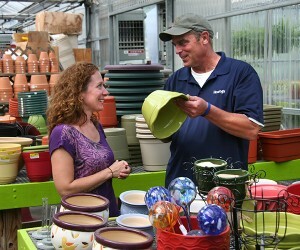 During the spring and summer months, premium garden supplies fill our shelves. 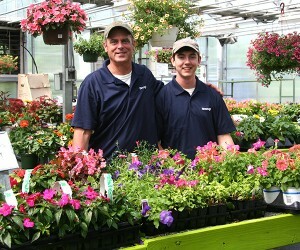 During the spring and summer month’s premium garden supplies fill our shelves. We’ve got it all! Come shop our lawn care products, planters, watering supplies, lawn equipment, as well as pest control. 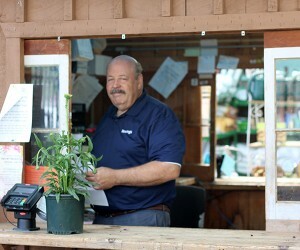 By using every inch of our green houses and garden center space, we are also able to provide a wide selection of superior quality plants. At Herzog’s, we only want the best! Our managers travel to many states in search of gorgeous plants, as well as unique varieties of them, which will truly make an impact in your garden. And, more often than not, they handpick beautiful, healthy shrubs and trees. Why? Well, it’s because we are picky! 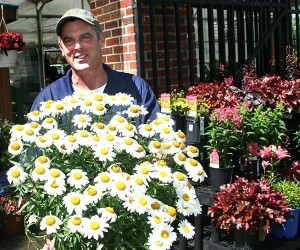 Additionally, we also offer a variety of annuals, perennials, shrubs, trees, vegetables, herbs, and houseplants. Herzog’s also really loves to celebrate the holidays, and so we have a large selection of seasonal items available.